HomeFitnessWhat is the Best Exercise for the Subscapularis? On the Exercises for Injuries Facebook fan page, I received a great question. The Subscapularis is one of the rotator cuff muscles. 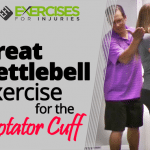 It’s a little different than the other rotator cuff muscles; instead of rotating the shoulder out (external rotation), Subscapularis’ role is to internally rotating the arm inwards. If you have a rotator cuff or shoulder injury, you need to target all of the rotator cuff muscles. Often, people forget to target the subscapularis. 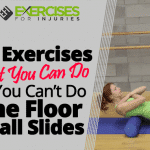 This can slow down your injury recovery, and also increases the risk of re-injury. 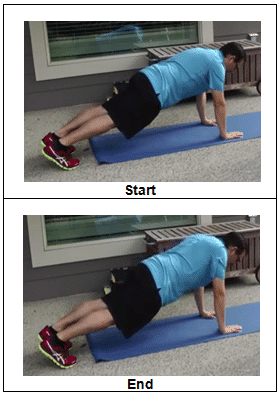 The best exercise for the subscapularis is a modification to the regular push up, called Push Up Plus. Move into a push up position, either from your feet or from your knees. Going from your knees is a little bit easier. When in the end position of the push up with your arms fully extended, push up a little bit further, focusing on moving your body further away from your hands. Position your hands directly underneath your shoulders. Keep the tension in your shoulder blades and mid back, then push that last little bit and lower back down. Complete this exercise in a slow and controlled movement, holding for one second before lowering back down. Start off with 5 repetitions, progressing to about 10 repetitions. Start off from your knees until you are more comfortable with the exercise, then progress to your toes. Do not collapse through the mid back, or drop your head. Stay in good alignment. So there you go! If you have any type of rotator cuff injury, make sure you target the subscapularis when it comes to your recovery and prevention program. If you are looking for the best exercise when it comes to the subscapularis, give the push up plus a go, from the knees or from the toes. Make sure to swing by exercisesforinjuries.com and enter in your injury or pain. 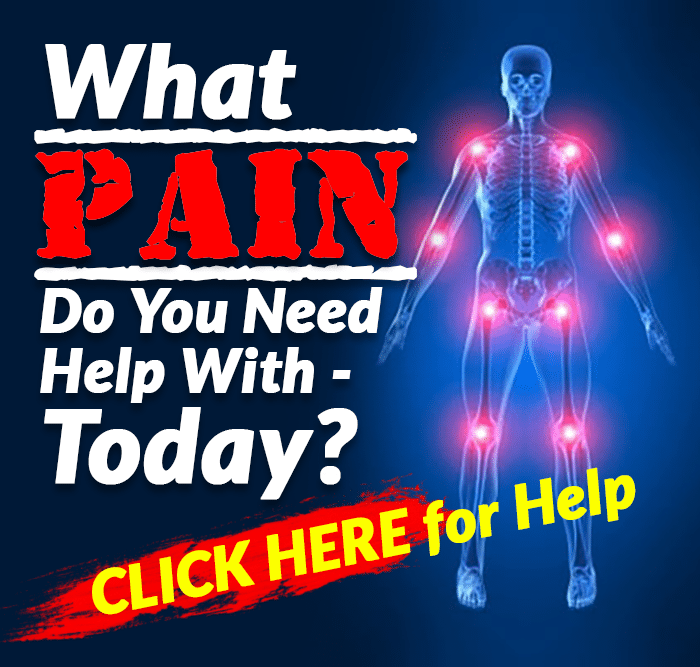 There is a good chance that I have an article, video, or interview that will help you overcome your injury or pain. Lastly, head down below, hit “Like” and leave me a question or comment. 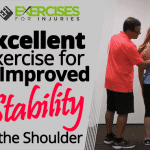 If you are looking for a program to help you with your shoulder pain, then click here to check out Fix My Shoulder Pain.